Hello and welcome back to the WCU PodCats Podcast! This week we cover the “Week at Western” featuring a big baseball game against Clemson and special lecture guest Lea DeLaria. 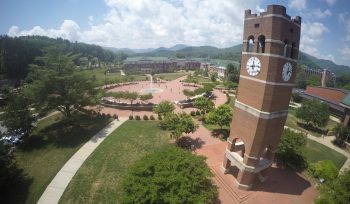 Our feature topic of the week is the Blue Ridge Outdoor Magazine Top Adventure College Competition that WCU is currently involved in. Patrick, Josh, and special guest Brittany discuss all of the reasons you should vote for WCU to three-peat as the tournament champion. Please remember to subscribe, download, rate, and review the PodCats on iTunes and iTunesU, like us on Facebook, and follow us on Twitter… and as always, Go Cats!! !